I wonder, Carole, if the low lighting was to protect the lacy fabric of the dress. Blue would have been a good color to use along with photos of Kate in the background, to get the dress context. The background isn’t really black. It just appears that way in the photo. 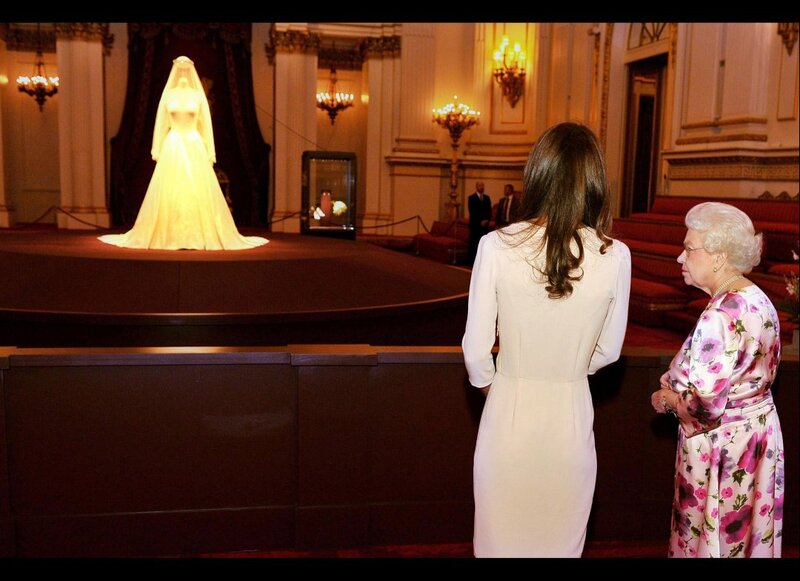 In actuality, the dress is on display in the centre of the room, and it’s viewable from all sides. People can walk completely around the dress in a circle, albeit they are about 7 to 10 yards away from the actual dress itself. Additionally, there is a fine mesh screen from the ceiling to floor surrounding the entire exhibit to prevent people from easily accessing the dress itself. Hi, Kathleen. Have you seen the dress personally? That would be neat! Wow! It’s such a treat to get so many posts from you lately! Thanks! 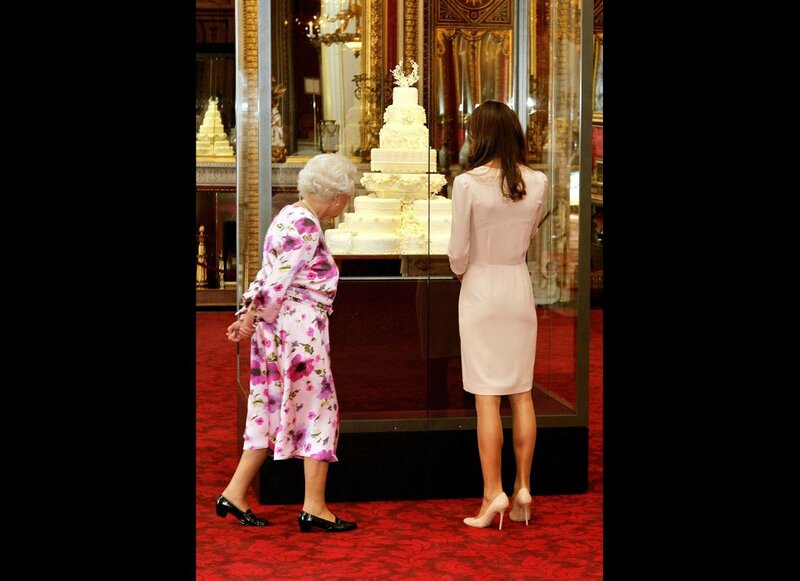 On another note, I have to agree with Carole and the Queen, the display is quite ghastly. 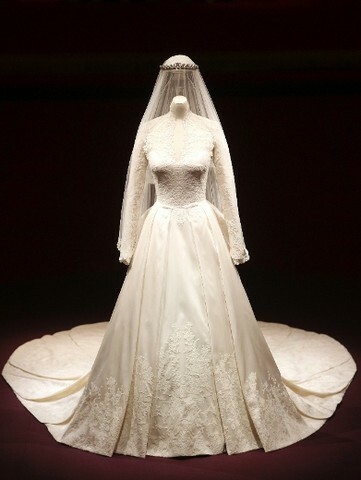 Did the veil have to be displayed above the dress? Also, is Diana’s dress displayed in that fasion too? 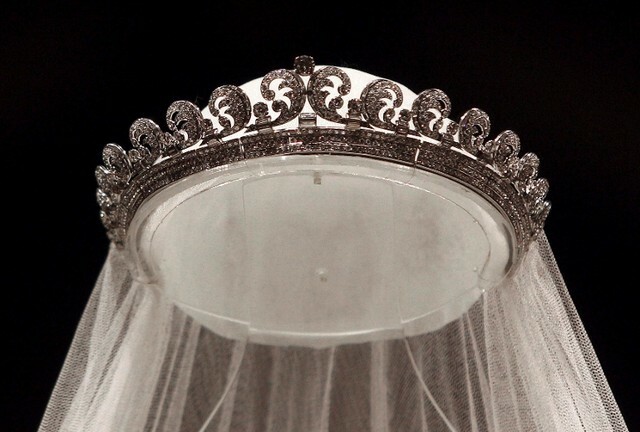 I also noticed that Kate’s dress and veil are displayed quite a ways away from onlookers, presumably for security purposes, have any royal wedding gowns ever been vandalized? As it now stands, it is an “Anne Boleyn” look! 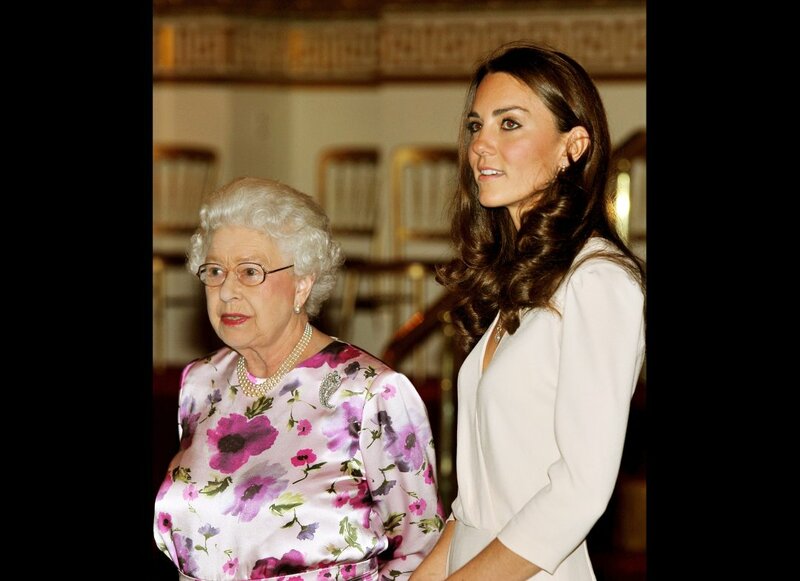 Let us hope Kate’s lovely head never ends up on the chopping block! John, Kate seems to be holding up well. It’s the press that might put her on the chopping block. 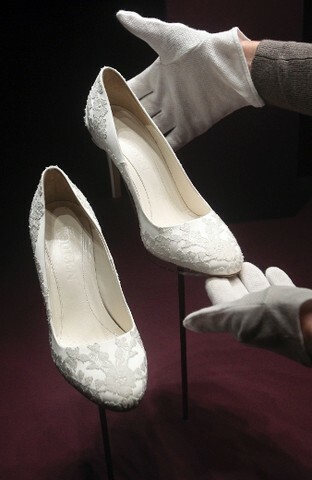 I have visited Kensington Palace and seen Princess Diana’s wedding gown. I remember watching her wedding when I was just 4 years old and thinking “wow” over that long beautiful dress so yes it was on my must see list.